LG India has launched the Optimus 4X HD in India for Rs. 34,990. 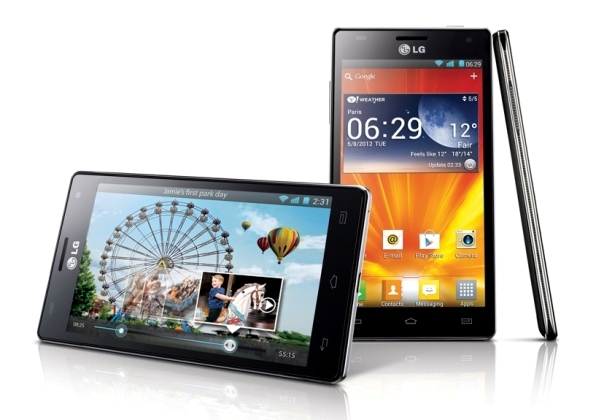 LG Optimus 4X HD has 4.7-inches True HD-IPS LCD capacitive touchscreen, 1.5 GHz NVIDIA Tegra 3 Quad-Core Tegra 3 processor, 1 GB of RAM, 8 MP primary camera and 1.3 MP secondary camera. The phone was announced at MWC 2012 earlier this year. Optimus 4X HD is second quad-core Tegra 3 phones after HTC One X. LG Optimux 4X HD runs on Android 4.0 Ice Cream Sandwich with Optimus 3.0 UI. The phone comes with 16 GB of Internal memory where 12 GB is available for users. The good thing is that it supports MicroSD card which is not present in HTC One X. 8 MP Camera capable to record 1080p HD Video at 30fps, other than this camera features Geo-tagging, face and smile detection, touch focus, image stabilization. LG is giving 50 GB Box.net Cloud storage with Optimus 4X HD. The Price of LG Optimus 4X HD in India is Rs. 34,990 and it would be soon available to the Indian retailer.